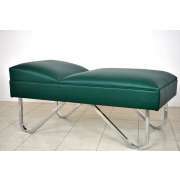 Shop Medical Furniture: See Our Best Sellers! What do you need in a school nurse’s office? 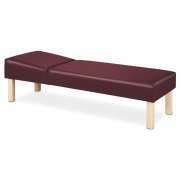 Medical furniture which helps students stay comfortable when they are not feeling well and makes it easy for nurses to take care of them. Whether you just need a new medical cabinet for supplies or you are furnishing a new building, Hertz Furniture has what you need to ensure your patients get the best care. When it comes to health and safety, you need to make sure you have the proper equipment. 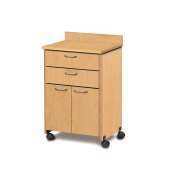 Medical furniture is specially designed for secure storage and easy disinfecting to prevent the spread of germs. Our recovery couches provide a comfy, sanitary place for students to rest until they are well enough to return to their studies. Where can students rest when they are sick? Recovery couches are just what you need to keep students comfortable when they are sick. They are specially designed for medical purposes with easy-clean upholstery and built-in paper dispensers to prevent the spread of germs. 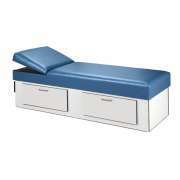 Medical cots come with either wooden or chrome legs and the option for built-in drawers for convenient storage. Where is a secure place to store medical supplies? There are a few options for medical supply storage. Ultimately the best choice depends on what you need it for. 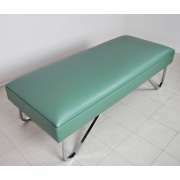 A medical cart is convenient because of its mobility. Rather than having to get up and look for supplies in the middle of an exam, you can simply wheel the cart over to where you are working to keep everything you may need on hand. A texture top prevents small items from falling in transit while easy-clean laminate maintains a neat appearance and facilitates quick disinfecting. Another option for storage is a medical cabinet. If you prefer to keep things in one place, this is the best choice. With attractive colors and various handle styles, you can get a design that looks great in your space. 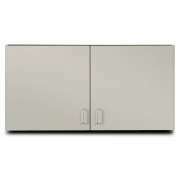 Wall-mounted cabinets keep supplies out of the reach of children and save space. 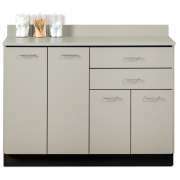 Freestanding units offer convenient counter space and abundant storage. 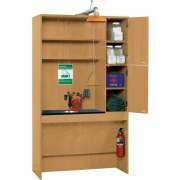 Locking cabinets ensure that your supplies stay put no matter which configuration you choose, while soft hinges to prevent slamming so resting students won’t be disturbed. 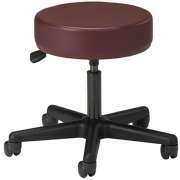 What is special about a medical stool? 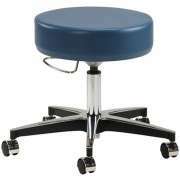 Unlike general seating options, medical stools are specially designed for medical professionals. 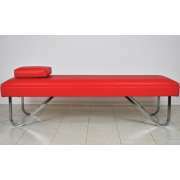 Their sturdy upholstery is durable and easy to disinfect to prevent the spread of germs. They are also designed for smooth maneuvering so medical professionals can find ideal positions for examining and supporting patients. 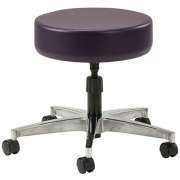 Comfy cushioning and easy height adjustment make exam stools an especially supportive option for everyone involved. How do you properly dispose of medical waste? If you want to follow health and safety guidelines properly, you need special medical trash cans to properly dispose of waste in a doctor’s or nurse’s office. 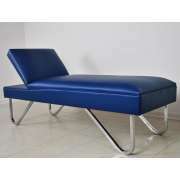 A sleek unassuming design will blend right in with any decor while ensuring that everything is properly taken care of. 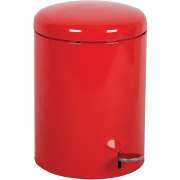 Hertz Furniture’s medical waste baskets are made from sturdy steel with hands-free operation for sanitary disposal of bio-hazardous materials.